1- HOW CAN I REACH TO USKUDAR UNIVERSITY? It provides convenience from our students travelling from European and Asian part of the city. After arriving at the Altunizade station and cross the road through the overpasses, walk for 5 min through Kısıklı Street and turn to İcadiye Bağlarbaşı Street. 250 metres ahead, you will find Üsküdar University Main Campus. From Beşiktaş and Eminönü piers, take the Üsküdar Pier. When in Üsküdar Square, take Kadıköy buses and minibuses to Bağlarbaşı-Altunizade. After passing from 15 July Martyrs Bridge (1,750 meters later), enter the Üsküdar-Kadikoy Deviation (the second exit after the 15th of July Martyrs Bridge). Straight on Kısıklı Street and arrive at Haluk Türksoy Street No:14, the Main Campus. Prior to entering 15 July Martyrs Bridge, take the last exit to Altunizade-Üsküdar- Ümraniye. Continue on the left side of the interchange. Straight on Kısıklı Street and arrive at Haluk Türksoy Street No:14, the Main Campus. Enter from Ümraniye-Üsküdar exit and follow through the main road. After passing Çamlıca Tunnel and Altunizade Bridge, go straight on Kısıklı Street and arrive at Haluk Türksoy Street No:14, the Main Campus. ***Our direction signs are hung in the electricity poles in and around Altunizade area. 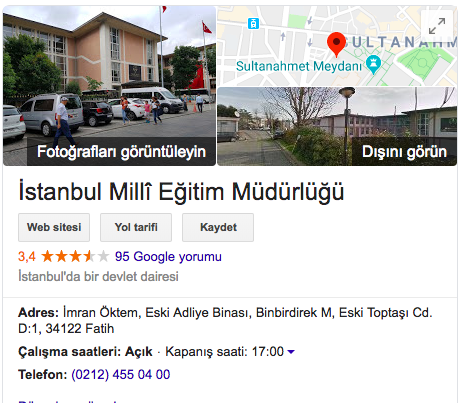 2- WHERE IS ISTANBUL MILLI EGITIM MUDURLUGU (FOR EQIVALENCE CERTIFICATE)? 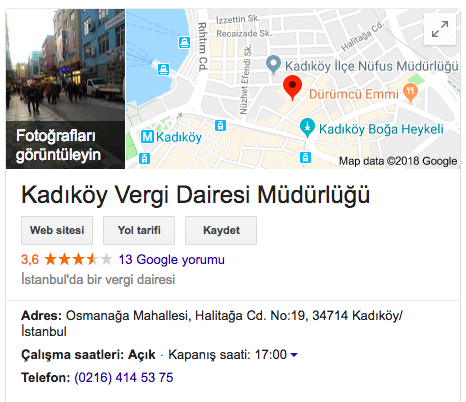 4- WHERE IS THE KADIKÖY TAX OFFICE (KADIKÖY VERGİ DAİRESİ) ? 5- DO YOU HAVE ANY CONTRACTED DORMITORY FOR FEMALE STUDENTS? Yes, Uskudar University has a contracted dormitory for female students. 6- DO YOU HAVE ANY CONTRACTED DORMITORY FOR MALE STUDENTS? Yes, Uskudar University has a contracted dormitory for male students.